Caresoft HIS is a unique solution offering from Caresoft Consultancy Private Limited that helps healthcare delivery organizations look beyond traditional module-based applications that unleashes quantum improvements in revenue cycle management and clinical processes productivity and attains time-to-service for care providers. The HIS solution helps achieve significant improvements by analyzing processes at all levels, incorporating business improvements, configuring products, implementing procedures with content and internalizing best practices. Caresoft Consultancy Private Limited (CCPL) is an Information technology company offering Computer software, IT services and IT consulting to clients across globe. Health Industry being company's prime domain CCPL provides Intelligent Healthcare Solutions to healthcare Verticals such as hospitals, specialty clinics, nursing homes, diagnostic centres and research care Institutes among others. Reports as per ISO,NABH,MCI guidelines. Cloud-ready, Browser Based Solution, Compatible With Latest Gadgets (Tablet/Smart Phone/I-pad). Smart Card /barcode Which Helps In Hospital Brand Building & Facilitates faster record retrieval. Messages can be sent and received through users mail option to have a effective And paperless communication between the application users and patient. Can maintain user with user-definable access right as well as set of default values for easy navigation& user-access control of the application. Provide the user, the last modification of data, on line using Audit & Trial Module. Different security levels at user and organization levels. On-line Reporting for Radiology / Pathology for Patients / Doctors / Administrators. processing of documents for on-line error correction. Automatic E-mail /SMS Schedulers for management , CXO Internal Mailing System. 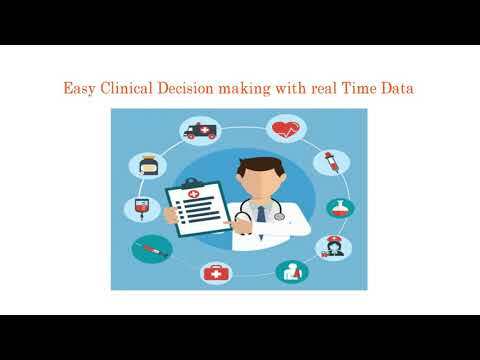 Real Time SMS for Patients, Doctors, Administrators in all modules.